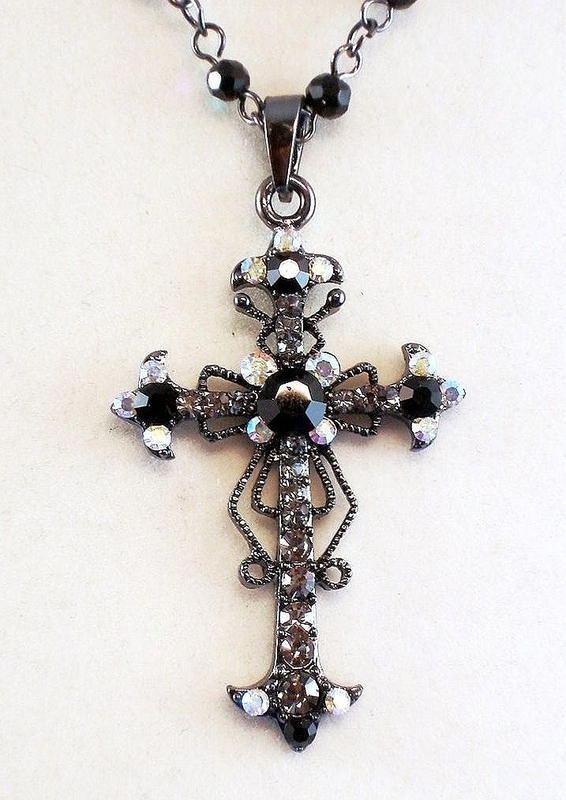 Here is a True Designer's Touch, Christian Faith and Fashion Inspired, Black Diamond Vintage Cross Pendant Necklace. The Cross Pendant is designed in Classic Filigree Style with a Vintage Accent, crafted from a High Fashion Gunmetal Color Metal, and features Black Diamond and Jet Black Genuine Austrian Crystals. The Cross Pendant measures 2" long by 1" wide. Comes on on a 18" Chain with Pure Jet Black Beads and a 3" Extender. Anti-allergenic Jewelry, Lead and Nickel free.